The undeniable fact is that DJI is the number one consumer drone manufacturer today. The man behind DJI is Frank Wang, and he is the one who turned this decade old company into the powerhouse it is today, drawing a billion US dollars in revenue the last time we checked. But behind all of the shiny new drones taking to the sky to bring you gorgeous aerial shots of nature and cities all over the world, lies a man who had a childhood dream, and who pursued it with a single-minded purpose – to fulfil it. This is Frank Wang, CEO of DJI, and it is because of him that drones have more or less became mainstream. Even in Singapore, walk around Marina Bay and you are sure to chance upon an enthusiast or a professional taking a DJI Phantom or Inspire drone to the skies. As with most tech entrepreneurs, his journey to get to where he is today was anything but straight and narrow. Here are some tidbits behind his life experiences which can also be applied to your own path to be an entrepreneur. When he was a child, the adventures of a red helicopter from a series of comic books he was infatuated with became the catalyst to a lifelong dream. 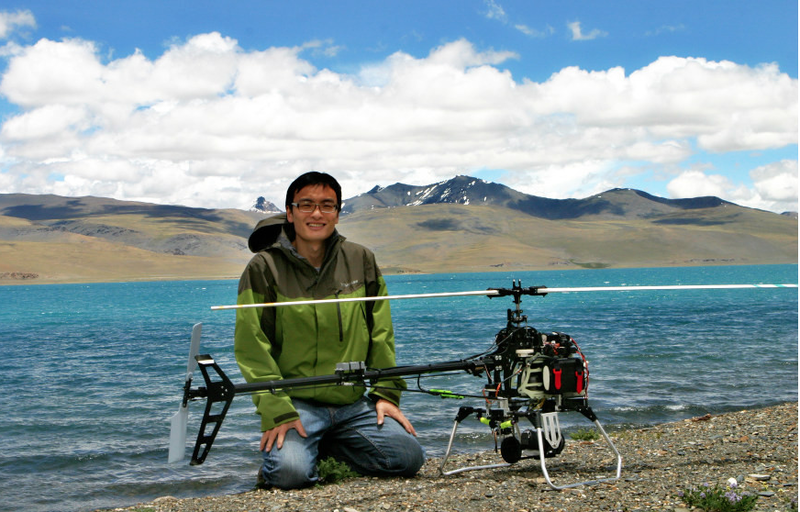 Jack Wang even dreamt of an accompanying device which could fly alongside him with a camera, calling it a “fairy”. The first baby steps to realising this dream was when he was rewarded with a remote controlled helicopter at 16, when he did well for his exams. He crashed it soon after though, only to wait months for replacement parts. This was the start of his tinkering with flying devices. His academic was not stellar either, basically dashing any hopes of him securing a place in his dream universities of MIT and Stanford. Opting for the Hong Kong University of Science & Technology, he majored in electronic engineering. It was not until his final year did he get back on track to his dream of building a helicopter flight-control system, which unfortunately, failed the night before its presentation. 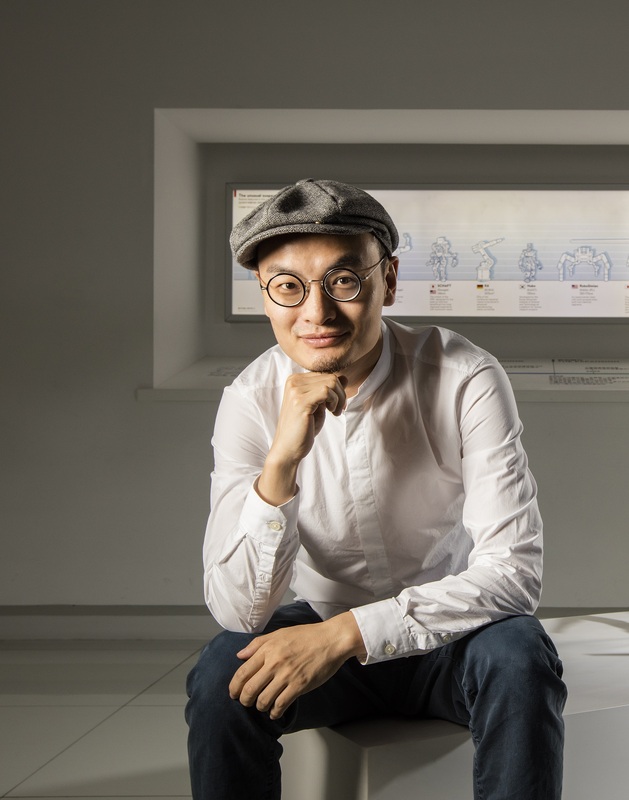 Fortunately, his professor recognised his efforts, group leadership and technical understanding, and brought him into the school’s graduate program. The flight control system he was working on in university were all built in his dorm room, where he would work into the wee hours of 5 am. 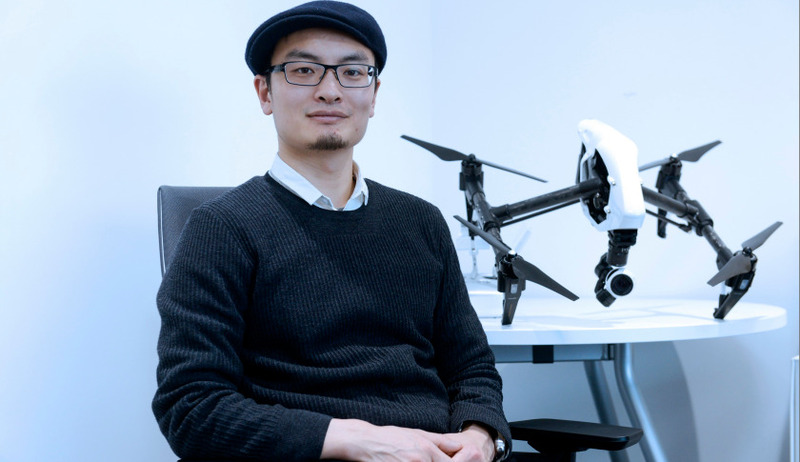 Upon graduation, he founded DJI with two other classmates. Together, they moved into a three-bedroom apartment within the manufacturing hub of Shenzhen. When the company first started out, the only capital they had and survived on, was the remainder of Wang’s own university scholarship funds. As a child he repaired his crashed helicopter model, and as a student he worked out of his dorm to create a helicopter flight-control system. And in the beginnings of DJI, along with his co-founders, he built $6000 components for DIY drones for Chinese universities and state-owned power companies from their shared apartment. For as long as he could remember, he has had his hands on all his works, building the products himself or with the help of classmates. This is perhaps something that some startups may go through. The co-founder which you created the company with may not be the same ones who are by your side today. For Frank Wang, the initial lack of direction for DJI caused strife among his classmates, and his “abrasive perfectionist” too was cited as a source of conflict. In two years, almost all of the founding members of DJI had left the company. 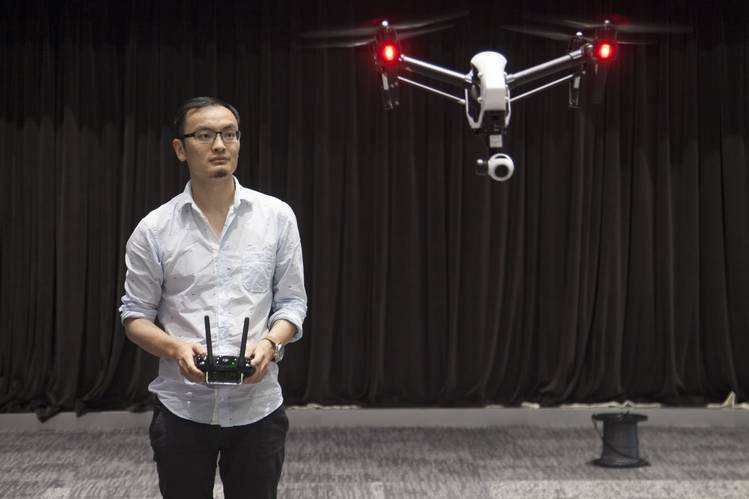 By this time, DJI was now home to a handful of staff churning out some 20 controllers per month, with the funding help from a family friend, Lu Di. Today, Lu Di remains one of DJI’s largest shareholders with a 16% stake. Wang’s best friend from high school soon came aboard too to run the marketing side of things, selling his apartment to invest in DJI, and today holds a 14% stake in the company. DJI exploits in China soon caught the eye of those across the Pacific Ocean. A former “The Amazing Race” contestant, Colin Guinn, soon shot an email Wang’s way. Guinn was looking for ways to shoot stabilized video from an aerial drone and it just so happened that DJI was working on a new drone system that would allow just that. After meeting both in the US and China, DJI saw its first expansion happen with the formation of DJI North America in Austin, Texas. Colin Guinn was then installed there as the person-in-charge with 48% share in the American operations. 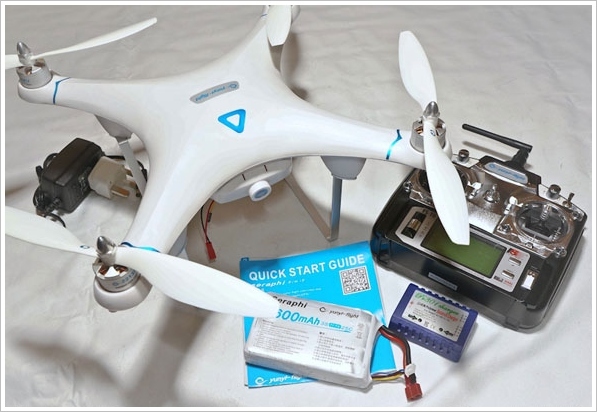 With an aim at delivering drones to the mass market, their first Phantom drone was launched in January 2013, signalling DJI’s arrival as an end to end drone manufacturer. Phantom took North America by storm and until today, the US still remains as DJI’s largest consumer market. Colin Guinn called himself the CEO of DJI and took credit for its innovations, especially in the case of the Phantom. This, of course did not sit well with the actual CEO and founder. The American would often rush into business agreements, with the one with GoPro the most famous of them all. Frank backed out of that deal, and it aggravated the already tense situation between himself and Guinn. A legal battle for Colin Guinn’s stake in DJI’s US subsidiary soon ensued which ended in an out-of-court settlement, seeing him leaving DJI along with some staff. And of course that didn’t end there. 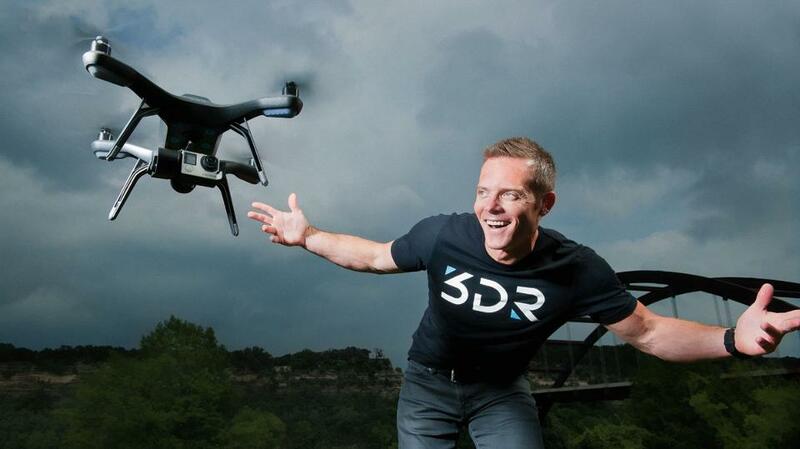 As expected, Guinn and the resigned staff soon found themselves joining a rival company, 3D Robotics, where they promised a more open ecosystem compared to DJI. Former employees setting up their own company to be your direct competitor is definitely not a new occurrence. If this was Silicon Valley, it would have probably been just another day in the life of entrepreneurs. But DJI isn’t based in Silicon Valley, they are based in Shenzhen, China, where staff simply leaving and setting up their own companies are the least of their worries. For them, corporate espionage is very real. Internal spies would come in the form of a departing employee (how convenient). These people would take with them blueprints and plans for DJI products out the door, and then sell them to the highest bidders. Especially in the “dog-eat-dog society” of Shenzhen, where manufacturing is cheap and drones will soon become commoditised, DJI has to stand its ground against imitators. Frank Wang certainly suspects that recent Chinese drone manufacturers were built up on stolen blueprints, but he remains confident that DJI’s reputation will keep them flying high. If your company is good at what it’s doing, expand on it into other areas. 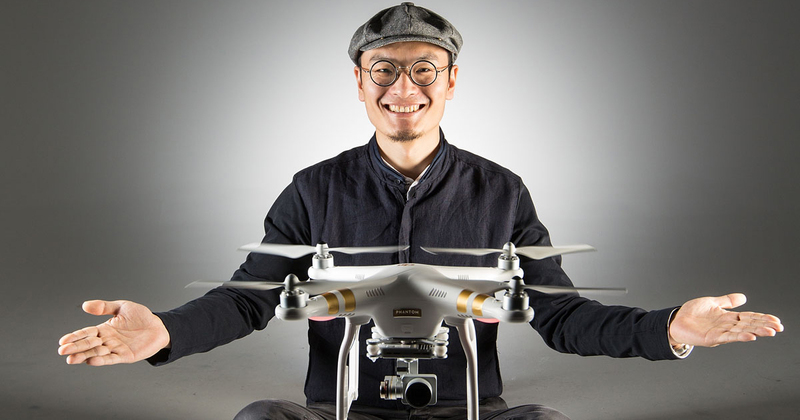 For Frank Wang and DJI, the conquering of the consumer market is not their end game. The company is now setting its sights on commercial applications of drones. Think agriculture, construction and mapping, where the usage of drones could benefit professionals greatly. “Our main bottleneck for growth right now is the speed at which we come to realise answers to technical puzzles. 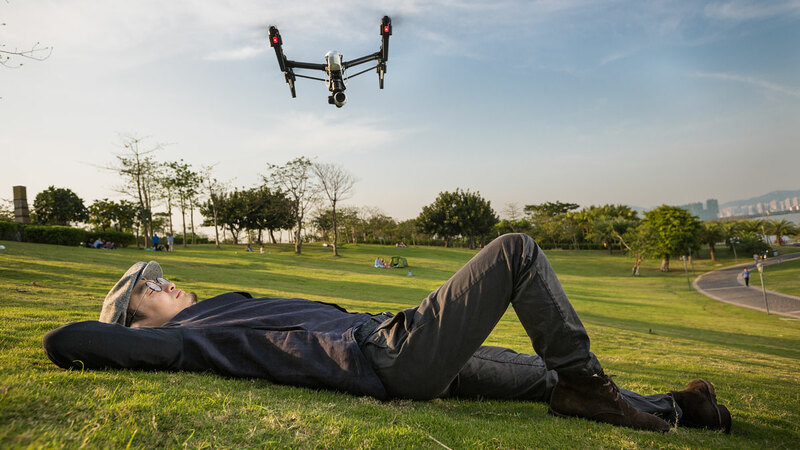 You can’t be satisfied with the present.” Jack Wang, CEO DJI for FORBES.